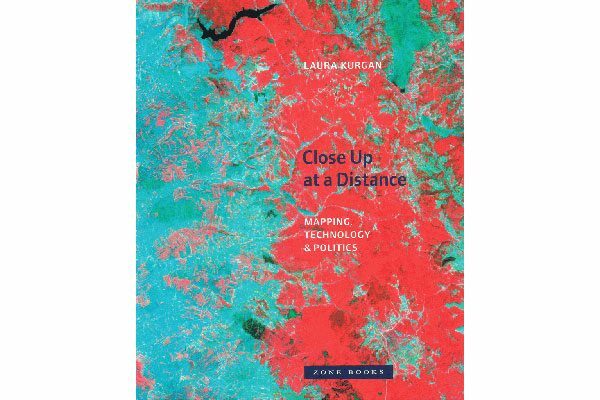 Close Up At A Distance: Mapping Technology and Politics is an excellent introduction to the world of remote sensing and chronicles the normalization of satellite imagery in modern society. 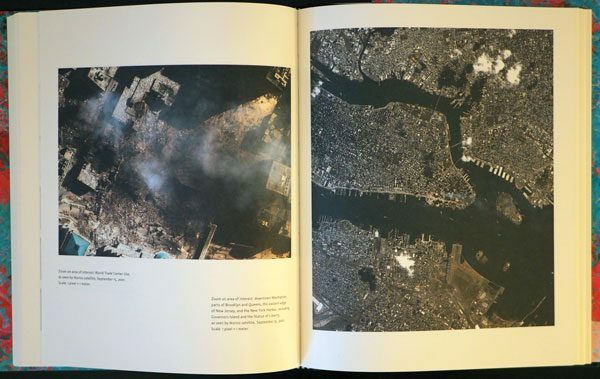 The book begins with the early history of satellite imaging which included satellites like the Corona—an American intelligence satellite in the 1960s that transmitted images by ejecting film canisters from orbit that were caught by passing planes. Earth observation developed quickly during the cold war. Satellite imagery offered a way to see behind enemy lines. Both earth observation technology and war changed as the value of remote sensing was realized. Early observation also captured public imagination. The Blue Marble photograph was the first image of the planet and one which effectively communicated the precariousness of our existence. This spurred a new era of scientific exploration, ultimately leading to the present where researchers and scientists now build composite images of continents with no cloud cover and multispectral images that display the world in infrared. The 1990s and 2000s saw significant advances for earth observation data. Satellite technology and computer processing progressed to allow data to be captured quickly, accurately and at high enough resolution to be very useful. The Gulf and Balkan wars became proving grounds for earth observation data. Imagery with detail not previously possible exhibited the scale of destruction in Kuwait in 1991 and the presence of mass graves in Kosovo 1999. Now earth observation data is everywhere. Satellites are used to monitor emergencies and natural phenomena and to track changes as they occur from day to day. The way we use satellite data is continually evolving. Kurgen describes how geographic data can tell better stories than statistics. GIS and remote sensing data can be scaled to show how landscape level trends can influence local phenomena, for example. Kurgen also used remotely sensed images of ground zero in New York from 2001 to explore the largest terrorist attack on American soil. Plumes of smoke and dust can still be seen on satellite images from September 12th and September 15th 2001. She uses mapping to show the gradual shrinking of the restricted area around the World Trade Centre and likens it to an emotional wound. The restricted zone changes from an unimaginable shock, to grief and finally to healing as it shrinks. Close up at a Distance also shows how geographic data beyond satellite imagery can tell stories by tying in data visualization techniques. Kurgen explores the difference between crime and incarceration mapping in her discussion of Brooklyn’s million dollar blocks. A ‘million dollar block’ is one where the annual cost of imprisoning the residents of a single block exceeds a million dollars. 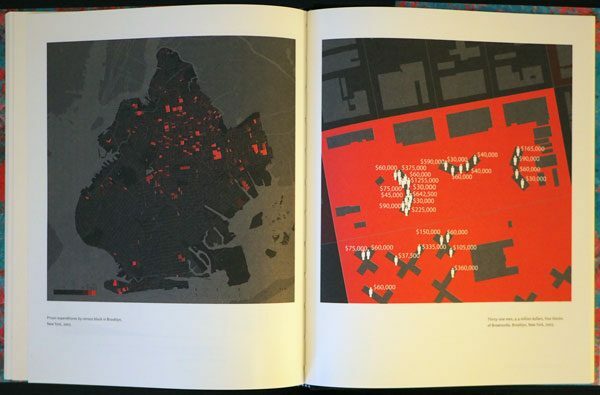 The last chapter uses a combination of crime data and home addresses of the incarcerated to show that, while criminal activity may follow random patterns, the addresses of the accused follow closely to patterns of inequality and marginalization. Juxtaposing these numbers with the amount spent on social programs over the same area leads the reader to ask if all this money is being spent wisely. Close Up at a Distance is an excellent introduction to the world of earth observation and also provides an exciting glimpse of how geographic information will be used in the future.